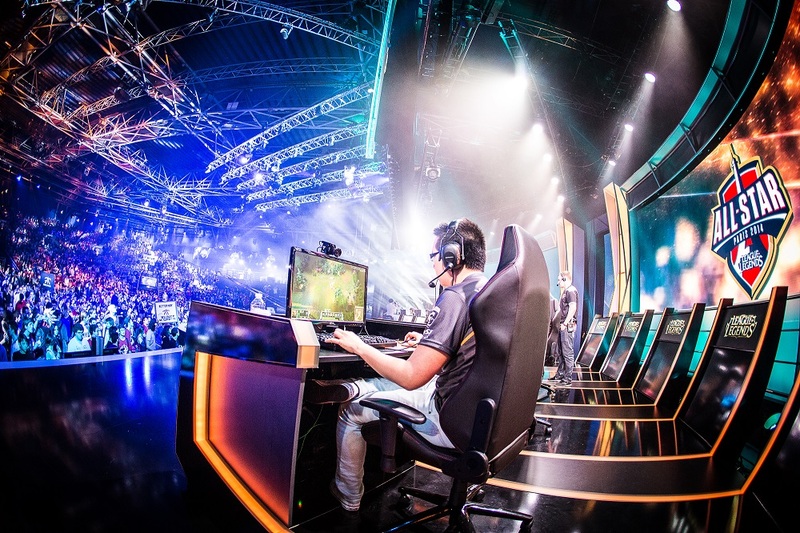 eSports, or competitive video gaming, may conjure up images of pallid teenagers hitting their keyboards until the early hours of the morning, but it is an industry projected to be worth over £1bn by 2020, and one which investment firms are starting to look at closely. eSports is where professional gamers compete against one another in pairs or teams. Just like more traditional sports, these matches draw in millions of unique viewers per month. Streaming platforms, such as Twitch, have turned eSports into an intense spectator sport, with fans tuning in every evening to see their favourite gamers battle it out. Newzoo estimate the total viewership of eSports streams and events to have been just over 194 million unique viewers in 2017, and project this to grow to 303 million in 2020. The Asia/Pacific region, where the phenomenon started, accounted for 51% of viewers in 2017, whilst Europe accounted for 18%. Per viewer revenue was estimated to be £2.58 in 2017, with total revenues exceeding £493m. By 2020 these numbers are projected to grow to £3.68 and to £1billion respectively. The exciting growth opportunity this market represents has not gone unnoticed by investors. Russian firm UHM holdings invested $100m into Virtus.pro – a conglomerate of Russian eSports teams – in 2015. In 2017 Rick Fox (former NBA champion) partnered with investors Stratton Sclavos and Jase Hall, to form Vision Venture Partners (VVP); the first wholly eSports focused private equity firm. VVP aim to acquire a portfolio of controlling stakes in eSports focused companies, including Echo Fox and an eSports content company, which produces interactive entertainment content for Twitch and Facebook Live. PE firms are not the only ones to consider eSports worthy of investment. German football team Schalke ’04 purchased League of Legends team Elements in 2016, and The Philadelphia 76ers bought majority stakes in eSports organisation Team Dignitas and League of Legends team Apex for around $10million. Tottenham Hotspur plan to build a state of the art eSports theatre in their stadium – and are currently in partnership talks with professional Overwatch team London Spitfires. As with any investment opportunity, investing in eSports carries risk – and these investments can be daunting to industry outsiders. eSports teams can be organised as LLCs, GmbHs, a group of individuals playing under the same banner and may be a subsidiary of another organisation. Dependent on the investment in question, an investor may be buying a stake in an umbrella corporation, or a single team within that organisation, and it is the ranking of the investment within these structures that has a considerable impact on ROI. Regardless, eSports is a young growth industry that is ripe with investment opportunities, and one that will continue to grow in the coming years. Will M&S Store Closures Lead To The Loss Of A Million Customers?